Jay Cain—The Sewell Family of Companies Inc.
Accounting was Jay Cain’s first interest, but as a young professional he realized he could double his value with a juris doctorate. So, rather than continue with a choice position as an energy industry certified public accountant, in 2011 he opted to enroll at Texas Tech University School of Law. Just a couple of months after earning that degree in 2014, Cain was welcomed aboard as the only in-house lawyer at the Fort Worth office of The Sewell Family of Companies Inc. of Odessa, Texas. Only more so as accountant than attorney. 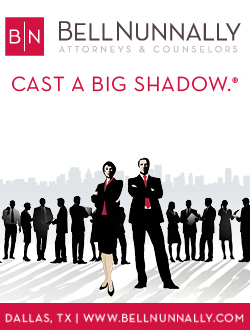 For the venerable Texas company that promises a personal touch on auto sales and service was losing a controller in fast-growing times, and lagged in financial reporting that Cain soon brought to snuff with his two-fer of accounting and legal savvy. 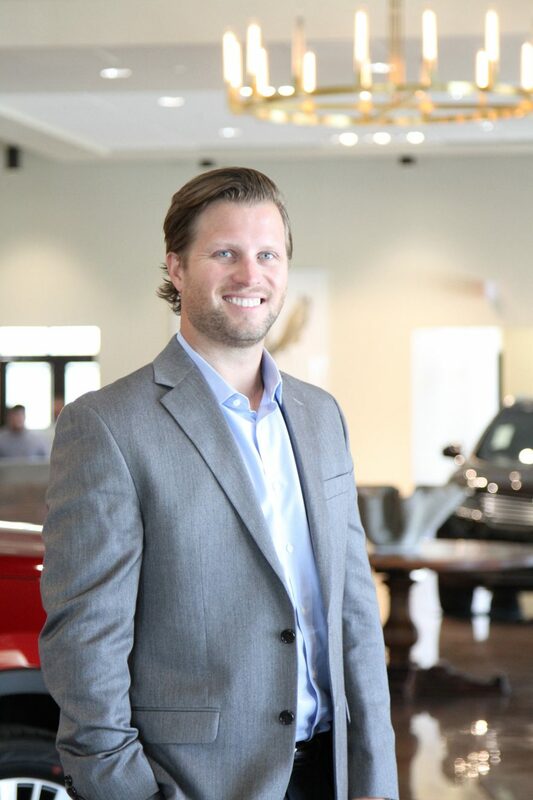 “We were behind in collecting debts, so I developed our accounts receivable department into a systemic practice that could hone in on outstanding accounts,” Cain tells Vanguard via Bluetooth, during one of his many drives among Sewell’s dealerships. When taking overdue accounts to court, Cain usually got judgements in Sewell’s favor. 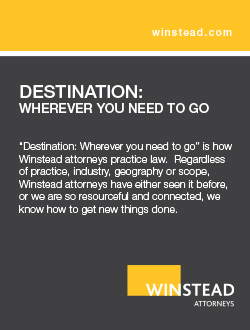 A few years later, he may still be called upon to practice some accounting acumen—especially at tax time—but the bulk of his responsibilities have shifted to the legal, side where the to-do list is growing. Each of Sewell’s dealerships is classified as a financial institution, Cain explains, citing the Gramm-Leach-Bliley Act of 1999 that, among other provisions, puts auto dealers under stricter regulations, since much of their modus operandi involves collecting payments in increments. Any personal information collected from someone buying a vehicle on the installment plan must remain just that: personal. Personal information given by someone who simply expresses interest in a car or asks general questions must stay such. Upon collecting personal information from a consumer in the context of financing or leasing, the dealer only need provide a privacy notice (and opt-out notice) if said dealer intends to share that info with a non-affiliated third party. Should the dealership send holiday cards or whatever to customers, it needn’t provide a Privacy Rule opt-out notice as long as it doesn’t distinguish between those who financed and leased and those who paid cash. Compliance with such regulations isn’t unduly difficult, Cain says, but with many dealerships under the Sewell umbrella, nothing can be left to chance. Furthermore, the company will likely be under even tighter regs as it’s in the process of entering the insurance market, as well. Then there are Cain’s other on-the-job duties that include finalizing contracts with vendors, ironing out the details of asset sales and purchases, and weighing in on employment law, with one of the recent beneficiaries being a young man of Mexican descent who graduated from a Texas high school and needed federal approval of his Deferred Action for Childhood Arrivals (DACA) application so he could pursue a career as an auto technician. “Many” may indeed be the word. 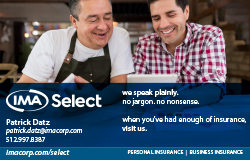 For reasons that transcend even its fledgling insurance business, Sewell is no ordinary chain of auto dealerships. 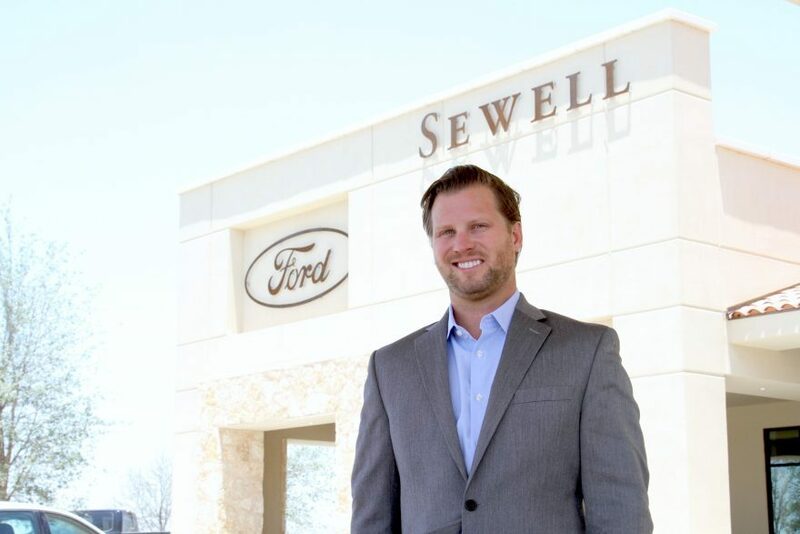 Sewell has served the Permian Basin since 1935, but finds its roots in the hardware store of E.F. Sewell, who began selling Ford Model Ts in 1911. Its business model is largely based on sustaining long-term customer relationships rather than one-shot deals, with enhancements including complimentary loaner vehicles, car washes and online reservations, though reservations aren’t needed. While many competing dealerships offer basic refreshments and magazines in the waiting area, Sewell takes it to another level with espresso, brick oven pizza, cocktails and even a putting green. But should a customer simply want an oil change, Sewell says its service department is the Lone Star State’s quickest. The company also provides the oil and natural gas industry with heavy-duty vehicles for the field, and with exploration picking up as prices rise, that end of Sewell’s business should only increase. He’s also prospered under the Sewell modus operandi that nurtures leadership with weekly leadership training and various high-profile events in the course of a year, that bring in such luminaries as John Maxwell, author of “The 21 Irrefutable Laws of Leadership” and, at last count, 21 other books on the subject. Cain’s accounting background certainly has been an asset, as he so readily attests. Just 32, he’s a rarity among his legal contemporaries, having landed a desirable in-house position right after law school. “I’ve taken a path that would make it hard to switch to private practice,” he acknowledges. Granted, it’s becoming a more trodden path. All the better, if a business shares Sewell’s luck by roping in a lawyer with accounting and business creds. The IMA Financial Group Inc.